To view our demo store, simply click on the screen shot to the right. please contact us and we will walk you through it. to the public and does not produce revenue. 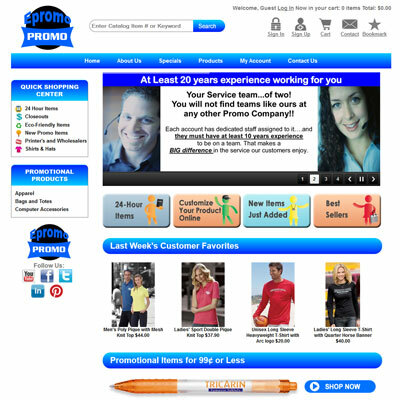 Thanks for your interest in Epromo!